CHICAGO (Reuters) – U.S. health authorities said on Wednesday they were preparing to send an experimental Ebola treatment to the Democratic Republic of Congo for use in a clinical trial aimed at stemming an outbreak in the country that has spread to Mbandaka, a city of about 1.5 million people. 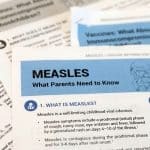 The trial would test the effectiveness of a treatment called mAb114 against the highly contagious virus, Dr. Anthony Fauci, director of the National Institute of Allergy and Infectious Disease, a part of the National Institutes of Health (NIH), said in a telephone interview. Scientists in Fauci’s vaccine research center had just begun a first-in-man trial of the treatment last week when Fauci said he received a request from the health ministry in Congo asking that the treatment be used in a clinical trial there. He said the NIH drug has a few advantages over ZMapp, which he said is given in several doses and needs to be refrigerated. The NIH treatment can be turned into a crystallized form and reconstituted in the field with a fluid such as saline. The latest outbreak is Congo’s ninth since the disease made its first known appearance near the northern Ebola river in the 1970s, and has raised concerns that the virus could spread downstream to the capital Kinshasa, which has a population of 10 million.